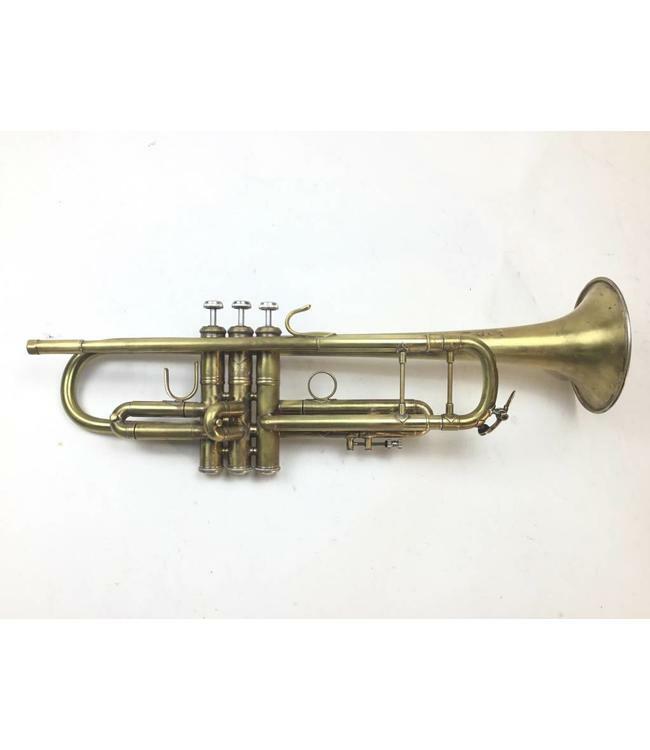 Used Bach Stradivarius model 43, ML bore (.459”), Bb trumpet in raw brass. Instrument in good condition with heavy surface scratching on bell and minor bell dings. Comes with turquoise finger buttons. No case.